We were able to experience the luxury property, the Inn and Spa at Loretto, on a recent family trip to Santa Fe. The hotel, a part of Heritage Hotels & Resorts, has a perfect location, right on the edge of Santa Fe’s center. We valet parked our vehicle and didn’t need it again. 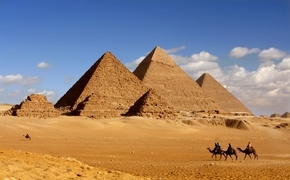 The city’s central square was less than a five-minute walk away, and it was easy to reach any number of galleries, shops and restaurants on foot. 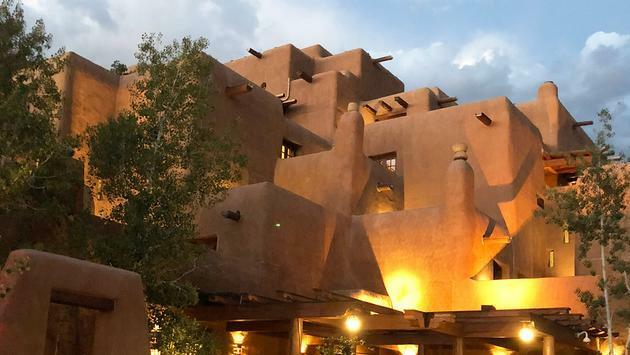 I was delighted with the hotel’s gorgeous architectural design—our boys (11 and 17) had never been to New Mexico before, and I wanted them to appreciate the adobe style that is such a part of the American Southwest. Loretto didn’t disappoint, with an iconic street-side presence that evokes an ancient dwelling, with multiple adobe setbacks—and the building today is one of the most photographed in the state. So much of what people love Santa Fe for is art, and Loretto excels here, too. There are many examples of local art throughout the hotel’s common areas, some available for purchase. Five galleries are actually housed within the hotel’s retail area. And our kids were intrigued by the daily Artist in Residence Program. This isn’t something tucked away in a back corner somewhere—at Loretto, the artist works right in the main lobby, steps from the front desk. Art truly felt accessible and alive here. Our room was decorated in a bright and vibrant southwestern style, without going overboard. Bold accents along the top of the walls and on the bed-runner gave a lively counterpoint to the white walls and browns, muted oranges and adobe colors found on the carpet and furniture. Terraza guest rooms include either a private or shared balcony, overlooking Santa Fe. The hotel has a nicely sized outdoor pool and separate fitness facility, as well as a restaurant, Luminaria, which also has patio seating. The Living Room is the hotel’s cozy bar area that serves food, wines, cocktails and more. There’s a happy hour with live entertainment on Thursdays, Fridays and Saturdays. Immediately adjacent to the hotel is the famous Loretto Chapel, which can be rented for weddings and receptions. The chapel—stunning from the outside—is world renowned for its magical interior. Inside, it boasts the “miraculous staircase,” a 20-foot-tall wooden spiral staircase that seems to defy gravity. Legend has it that the staircase was built for the nuns in the late 1800s by a mysterious carpenter, who then disappeared. The wood itself also appears to be some sort of extinct species. There’s a small charge to enter the chapel and see the staircase, but it’s a worthy experience and it makes for a great photo. As with the other Heritage properties I’ve stayed at, the staff was exceptionally warm, well-informed and willing to go the extra step for guest requests—this small chain is certainly doing a lot right.